Lisa Bauer grew up bilingual in German and English. Her love of learning languages also includes Spanish, Italian and French. While an undergraduate at Johns Hopkins University, Bauer started adding computer programming languages to her repertoire. Now a second-year computer science doctoral student at UNC-Chapel Hill with a National Science Foundation Graduate Research Fellowship, Bauer wants to use computer science as a tool to help improve quality of life for people with disabilities and for the elderly. In her answers below, she talks about learning so many languages, her decision to pursue graduate study in computer science and her goal of increasing diversity in the STEM fields. Tell us about your background and why you chose Carolina for graduate school. My path to computer science was somewhat unconventional in that I began with an undergraduate major in cognitive science and a concentration in linguistics. Some years into my degree, while I had taken a couple of computer science courses, I found myself pursuing research in a linguistics lab studying dysgraphia, a writing impairment caused by brain damage. Using my computer science background, I wrote a program that analyzed a patient’s spelling abilities and generated appropriate spelling lists to improve dysgraphia treatment. My project helped me realize the enormous impact that computer science can have on people’s quality of life, prompting me to double major in computer science and cognitive science. Combining my complementary knowledge of computer science and linguistics, I started working in natural language processing research. After talking to professors at UNC, I realized that my interests aligned perfectly with their ongoing research, especially in topics like dialogue and question answering. UNC’s research-focused curriculum sealed the deal for me and provided an avenue for effective learning, allowing me to explore my research interests in the context of my classwork. You are fluent in or have some knowledge of 10 languages: English, German, Italian, Spanish, French – and five computer programming languages. How did you develop an interest in learning all of these languages? My parents immigrated to the United States from Germany, and, therefore, I grew up bilingual in German and English. We also spent a lot of time abroad during my childhood, and thus I picked up an interest in language at a young age. I think learning a programming language is similar to learning a natural language in that you learn the syntax of the language and then combine it to create meaning, which can then be applied as a solution, whether that’s in the form of getting directions to some landmark or solving an engineering problem. Both require some type of incremental learning by doing and so it’s really rewarding when you start to be able to create solutions for some problem that seemed insurmountable at first. What should people know about your research and career goals? I’m primarily working on neural networks that can read and reason across text (such as a story, article or conversation) to either answer a question or continue a conversation. My recent research has been in using external knowledge (such as common sense) to improve this reasoning capability and generate a better response to human input. These methods have far-reaching impacts in many different fields including applications such as tutoring and smart home systems for people with disabilities and the elderly. For example, an intelligent tutoring system that can detect and infer a student’s frustration during tutoring will both engage the student and adapt to the student’s needs more effectively. Such a system requires the ability to reason over a student’s response to not only create useful input and feedback as a teacher, but also to understand what a student is having difficulty with. It also requires interacting in a humanlike way that will engage a student, and not bore them. I want to address all these components with my research in question answering and dialogue, so that these models can better serve people as educational or care devices. I also believe strongly in improving the diversity of STEM fields. 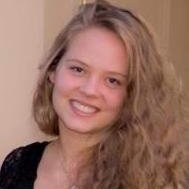 As the Graduate Women in Computer Science (GWiCS) president for the 2018-2019 academic year, one of my major goals is to bring together more female leaders in computing with students at UNC to foster mentorship, professional development and networking, ultimately encouraging and keeping women in STEM. I attended a workshop for women in computing earlier this year, and realized the impact that communication with senior female researchers had on my and my peers’ sense of belonging in a male-dominated field. I want to continue building this sense of community at UNC, as I believe it will increase the diversity of the program and encourage young female computer scientists to continue to grow as leaders in their field. How is your National Science Foundation Graduate Research Fellowship supporting your education and research at UNC? I am incredibly grateful to have been awarded the NSF fellowship, as it allows me the flexibility to take more chances in my research pursuits. As natural language understanding and generation is still a growing field, there are many different approaches and methods that can be tried from different angles. With the NSF fellowship, I can use this freedom to try methods that may not have been thoroughly explored, and build more creative approaches towards solutions.